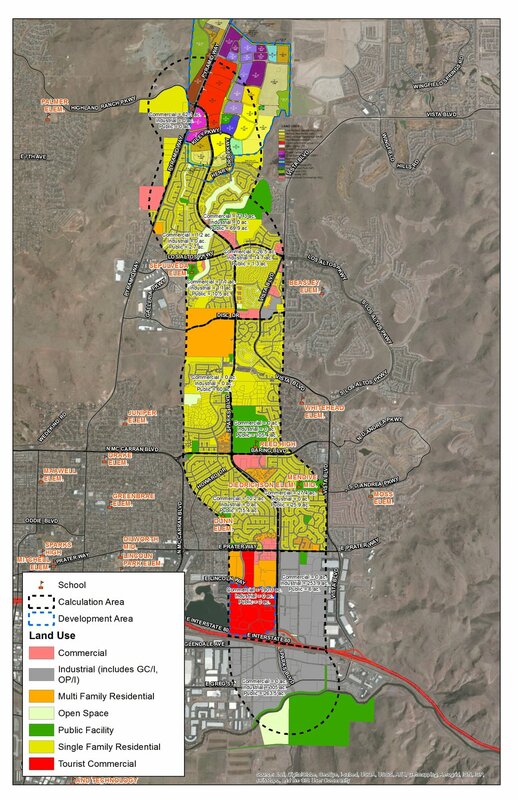 Headway was selected as the prime consultant for this RTC administered multi-modal corridor study. This study encompasses the entire length of Sparks Blvd, from Pyramid Highway to the southern terminus at Greg Street (the northern end of the SouthEast Connector). The study focuses on safety, traffic operations, the pedestrian / bicycle environment, and the future traffic volume forecasts (assuming the completion of the SouthEast Connector). Headway completed a thorough walking audit and compiled existing conditions for the length of the corridor using Mobile GIS data capture technology. Using this technique, Headway produced a geodatabase containing the exact GPS location of all existing signs, roadside objects, bike lanes, sidewalks, transit stops, and corridor deficiencies. With this geodatabase we are able to use ArcGIS to query specific corridor deficiencies, such as bicycling connectivity issues, to identify future mitigations and prioritize projects. Additionally, Headway compiled collision data for the entire corridor (provided by NDOT) in a GIS layer, which was later used to analyze crash trends by location and type. Doing this we were able to identify horizontal curves that had a high rate of run off the road collisions as well as specific locations that showed higher numbers of pedestrian related collisions. Furthermore, Headway analyzed the existing roadway and intersection capacity and level of service, using the regional travel demand model projected future volumes, and analyzed future capacity and level of service for the corridor and all of the signalized intersection. Headway developed alternative improvements and mitigation concepts for short term and long term implementation. The final report was created in a 11” x 17” landscape format, which was ideal for this study as it allowed for plans and proposed mitigations to be included directly within the report.